LoCASH COWBOYS It was April of 2008, and the LoCash Cowboys were doing what they do best?rocking a packed house. They were at Nashville's Wildhorse Saloon, where the two of them?Preston Brust and Chris Lucas?had met a few years earlier. The amped-up crowd was living, screaming proof that they had put the time since then to good use. They had been criss-crossing the country, honing their craft on stages large and small, developing one of the most dynamic live shows in any genre of music. It was April of 2008, and the LoCash Cowboys were doing what they do best?rocking a packed house. They were at Nashville's Wildhorse Saloon, where the two of them?Preston Brust and Chris Lucas?had met a few years earlier. The amped-up crowd was living, screaming proof that they had put the time since then to good use. They had been criss-crossing the country, honing their craft on stages large and small, developing one of the most dynamic live shows in any genre of music. Along the way, they had sold more than 60,000 copies of their homemade CD, earned endorsements from the likes of Budweiser, shared bills with artists including Charlie Daniels and ZZ Top, performed at halftime of NBA and U.S. Olympic team basketball games, and earned television appearances ranging from Tanya Tucker's reality show "Tuckerville" to "Pageant School: Becoming Miss America," writing the theme songs for both. They had also attracted their share of support from those in the industry who recognized just how much of the total package they had?great vocals, world-class dance moves, a unique look and charisma to burn, as well as a wealth of experience and a work ethic that impressed everyone who dealt with them. On that warm spring night, the final piece of the puzzle would fall into place. Jeffrey Steele, one of Nashville's biggest names in songwriting ("The Cowboy In Me," "What Hurts The Most," "My Town") and producing (Montgomery Gentry, Keith Anderson) was working his way through the crowd. "Everybody's screaming and he can barely get to the stage," says Preston. "He was almost crowd-surfing his way to the front. He grabbed hold of me in the middle of a song and yelled, 'I get it! I want to work with you!' It was a monumental moment." Steele, like so many others before and since, had caught the LoCash vision, and he signed on as songwriting partner and producer. 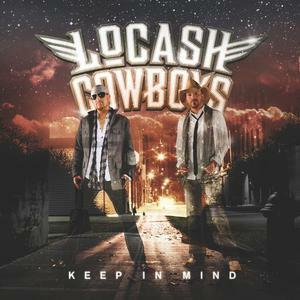 After building and gathering strength for years, earning a growing legion of fans inside and outside the industry, the LoCash Cowboys saw their momentum become a perfect storm. "We had a few great songs already," adds Preston, "but writing 40 songs with Jeffrey amounted to honing the vision, defining who and what we are. We knew the whole time that this wasn't just going to be 11 or 12 songs on a record. We knew it would be the debut of what the world will know as LoCash." That debut, called This Is How We Do It, is a fitting introduction to a compellingly charismatic duo, a well-rounded CD that captures all the excitement of their stage performance while displaying a softer, more philosophical side as well. The project's first single, "You Got Me," is the best of both worlds. Penned by Chris and Preston, it is, quite simply, a love song that rocks. The core of the CD is a series of high-energy manifestos, songs that celebrate the unabashed fun of the LoCash lifestyle, the conviction that the best things in life are free or at least low-cash. Songs like "Fresh Off The Farm," with its riff-laden punch and inventive harmonies, "Here Comes Summer," with its free-wheeling look at beach season, "C.O.U.N.T.R.Y," an ode to the joys of country life, "Get Down," a bit of country rap, "She Goes Loco," a name-dropping tour-de-force, and "This Town Needs A Parade," which is as close to a recorded party as country music has ever seen, add up to a guided tour through LoCash territory. But then there are "Right Here In Front Of You," a passionate expression of romantic love, and "Keep In Mind," a parent's loving farewell to a child venturing into the world, both vivid examples of the depth and tenderness lurking within the LoCash heart. To top it off, there is "Independent Trucker," an uptempo country joyride that includes none other than George Jones, and "This Is How We Do It," a title cut that ties it all together with a high-energy bow. The Cowboys' signing by Stroudavarious Records brought together two of the most important elements of the LoCash story?their ability to capture fans with their live performances, and their heart for humanitarian work, especially with young people. It came about at another gig, this one in October 2008 following the Wicksburg, Alabama, high school football team's homecoming game. Chris and Preston, as they normally do, wanted to hang out with the kids throughout the day?they are tireless in their efforts to talk about alternatives to drugs, which neither of them have ever used. They attended classes and played touch football with students and were invited to run out onto the field with the team before the game. Word got around and the stadium was filled that night for the game and the concert afterward. Among those present was entrepreneur Ronnie Gilley. "He's someone who wants to do something positive for the community," says Preston, "and a friend of ours from the area had been trying to get us together for a long time. He saw the crowd going crazy in front of his eyes and he knew we were trying to make a difference, too. He said, 'These are my kind of guys,' and we were thinking, 'This is our kind of guy.' Right then and there, he called James Stroud, the label head, and told him about us. Within a few weeks we were signed to Stroudavarious." Their subsequent breakthrough is fitting testament to the talent, persistence and hard work that has been evident in Chris and Preston since their earliest years. Chris grew up in Baltimore, developing a love for music that would ultimately span eras and styles, from Frank Sinatra to Justin Timberlake, with special emphasis on '90s R&B and country. He learned break-dancing on the city's streets and eventually taught others, but most of his time and attention as a teenager went to baseball and football. He says, "Sports is where I learned integrity and all the big lessons about character." Preston was born in Arkansas, but grew up in Kokomo, Indiana, where his dad was a preacher?Preston sang a capella in church but had to sneak out to go dancing. He turned out to be a natural, and soon he was choreographing show choirs, ultimately winning a regional grand championship. "I remember being so excited," he says, "but then I realized something was still missing for me. I wanted to perform, to share what was inside me as an artist, and not just choreograph for other people. I knew it was time to go to Nashville." Chris, at the urging of a friend, had auditioned for a singing spot in a theme park show, and ultimately worked for Six Flags, Kings Dominion and others. He decided to chase his dream to Nashville as well. Calling on his break-dancing experience, he quickly landed jobs as an instructor at two dance studios and at the Wildhorse Saloon. It was there that he met Preston, who had moved to town the day before and was out on the town. "We talked for a while and I offered him a job," laughs Chris. "I'd been there for a while and had begun to get discouraged, but Preston brought my energy back. We hit it off like brothers and when we found out both of us sang we said, 'Why don't we try something together?'" They began writing, performing and recording, devising their strategy on the fly. "We spent months knocking on the doors of producers and labels," says Chris, "but then one day it hit us. What we could control was getting out there on the road and making LoCash Cowboys a household name." It wasn't easy," adds Preston. "We started out in our cars pulling U-Hauls. Then we moved to renting vans, then to buying a van, and then we grew into an old White Eagle Bus we called Ghetto One that we wrecked our first night." Their live show did the heavy lifting, with their over-the-top energy winning fans in city after city. "We became known for just going out and having a good time," says Chris. "We read each audience. We don't really have a set list. We just go out and make it fun." They worked each bit of success into another step up the ladder, earning opening slots for name acts, rave press notices and TV appearances. One by one, they picked up believers?an attorney, a booking agent, a manager, a publisher, even a label that signed them, only to fold before they could release a record. Their friendship with Jeffrey Steele began when a mutual friend began taking them to his house for Sunday afternoon basketball games. "Once we got to know him," says Chris, "we told him, 'Someday you'll be working with us,'" a statement whose fulfillment was pivotal. The list of those they have shared bills with continues to grow?Toby Keith, Blake Shelton, REO Speedwagon, Tom Petty, Gretchen Wilson and many others. They toured the country headlining Maxim's Red Man Roadhouse Tour. Their TV appearances have been as varied as they've been exciting, ranging from Total Nonstop Action Wrestling's SlamiVersary, where they performed before 10,000 screaming fans at Nashville's Municipal Auditorium, to Fox News Network's New Year's Eve Broadcast before two million in Times Square. All got the LoCash treatment. "We're like stage Marines," laughs Preston. "We walk out, take one look at the audience and attack. We never let up, whether it's a thirty-minute appearance or a four-hour show. The energy stays at a peak the entire time." Behind that energy is a world of industry knowledge put to good use. "Everything we do is well thought out and part of a business plan," says Chris. "It feels kind of out of control and crazy, but in reality, I don't know two other guys who put this kind of time, effort, passion, drive, determination, creativity and initiative into making our ideas, music and dreams become reality." As they prepare to have This Is How We Do It take them nationwide, Chris and Preston are aware of the dichotomy in their humble roots and bigger-than-life personas and achievement. "I think underneath it all, we're relatable," says Preston. "Chris and I are real guys. You can get behind the smoke and mirrors pretty quick, and we're still just these two guys from Indiana and Baltimore." They are also aware that the whole is bigger than the sum of the incredible network of parts that has brought them here. "If you tried to line up the stars like this, it would never happen," says Preston. "It really feels like magic and destiny." For their growing legion of fans, it is also the hard-won triumph of that combination of talent and energy that is LoCash.